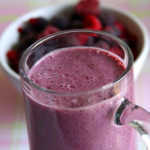 Of course I have used probiotics rich kefir in this recipe as an egg substitute. 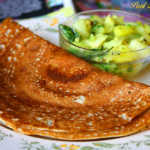 Wondering kefir as an egg substitute? 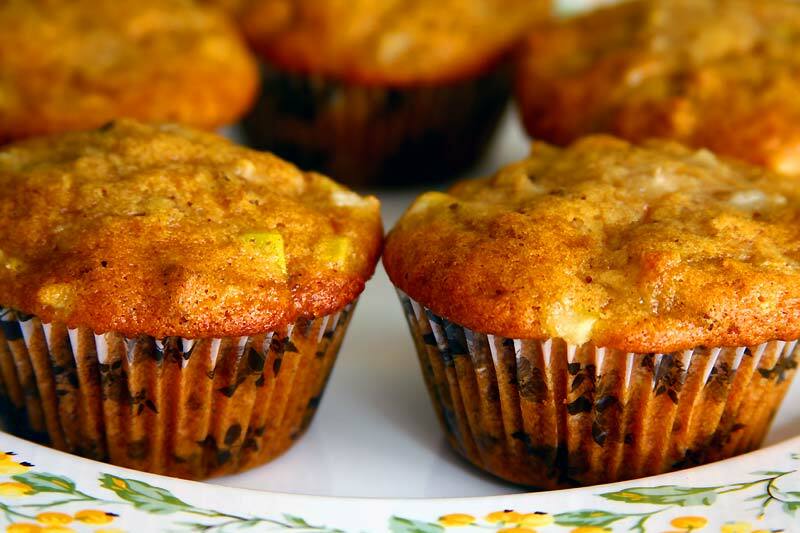 Yes I would have normally used yogurt or buttermilk in this type of recipe but because I had a lot of kefir and I was looking for ways to finish it decided to use it this fresh pear muffins recipe. I have had success using kefir as egg substitute in this maple walnut cake two years back. 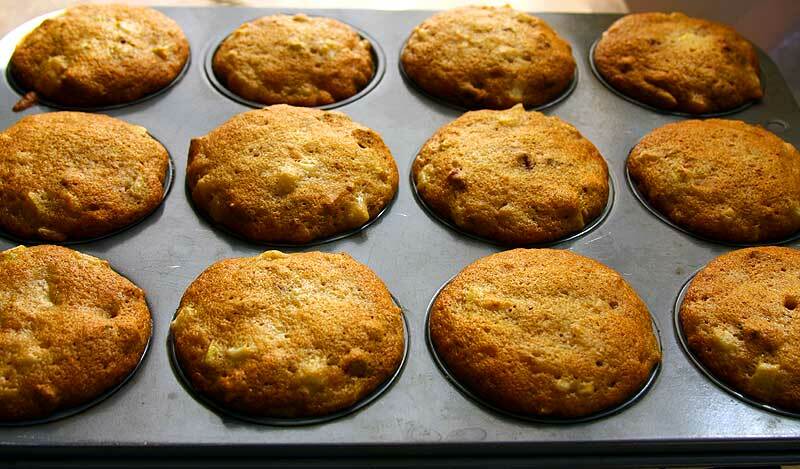 So was pretty sure that it will work in this pear muffins from scratch recipe too. But that alone doesn’t make it healthy. 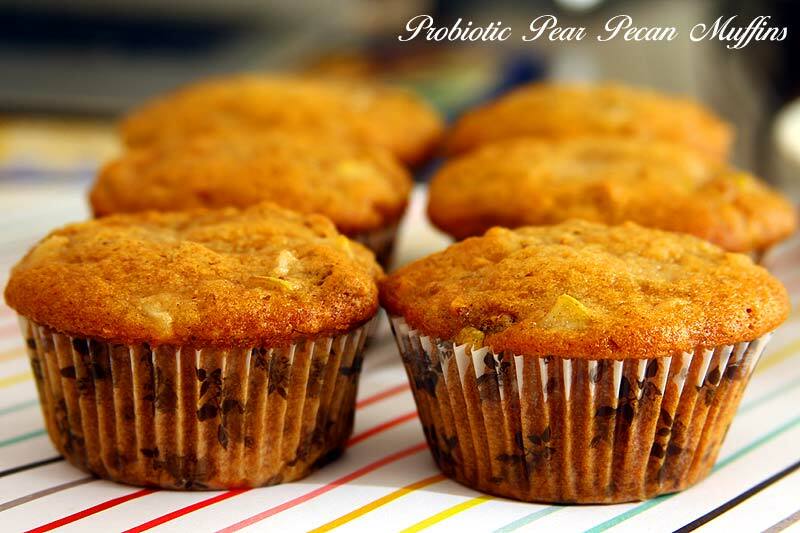 These pear pecan muffins are super moist, light and yummy but if you are looking for an healthier alternative, check out the My Notes section to incorporate few minor changes to give this pear muffins recipe a healthy makeover. 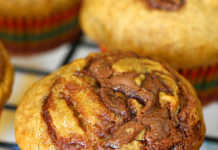 Or else you can try this pear oat bran muffins recipe. 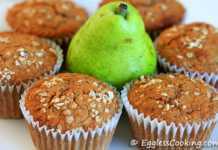 We had a lot of fresh pear sitting in the fridge and when browsing recipes to try, found this pear muffins recipe using fresh pear in my favorite website, Taste of Home. Made the original recipe egg free and kept the rest same. Preheat the oven 350F/180C for 15 minutes. Place the chopped pecans on a baking sheet and toast it in the preheating oven. Depending upon the temperature it might take about 5-7 minutes. Just keep a close watch so that it doesn’t burn. Also line muffin tins with paper liners or grease it with non-stick cooking spray and set aside. 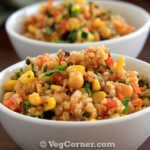 In a large bowl combine together the dry ingredients and set aside. 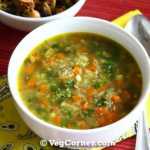 In a medium size bowl, stir together the wet ingredients. Stir in the wet ingredients into the dry flour mix and mix gently using a whisk or wooden spoon. 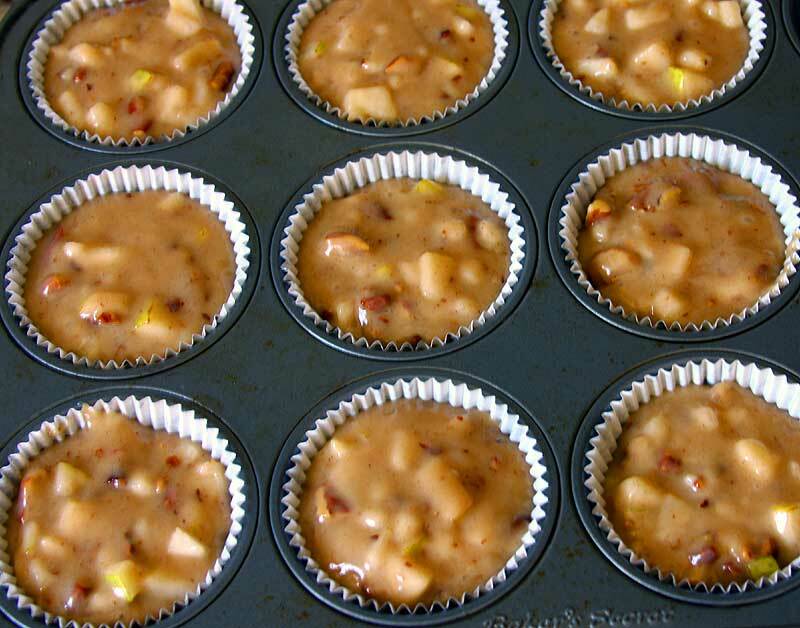 Fold in the diced pear and pecans into the muffin batter. It might look like that’s a lot of fruit than the batter but don’t worry the muffins will bake fine. 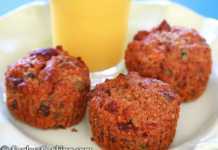 Fill each muffin cup around 2/3rds full. I got about 21 muffins for this batter. If you want to make 24 muffins, I think you can slightly decrease the quantity of batter for each muffin. You might be able to stretch it. Normally I would have made a couple of changes to this recipe like using whole wheat pastry flour at least for some portion of the all-purpose flour, using 1/2 cup each of unsweetened applesauce instead of 1 cup of oil, but didn’t try all those healthy changes because I was in a hurry to make these pear muffins. I wanted something quick, tasty and something that I can manage with the ingredients at home. I am definitely going to try with the above tweaks shortly. I can also do with just 1 and 3/4ths cup of sugar instead of 2 cups. We prefer our muffins not too sweet. I had a lot of kefir at home so chose to use that as an egg substitute. You can simply use yogurt or buttermilk instead. You can also use apples instead of pear, walnuts instead of pecans. I prefer to use toasted nuts because it gives a nice flavor and crunchy texture to these pear muffins.